Ecclesiastes 1:3-4; 8 “What does man gain from all his labor at which he toils under the sun? Generations come and generations go, but the earth remains forever…All things are wearisome, more than one can say. the eye never has enough of seeing, nor the ear its fill of hearing. How do you perceive time? You see the clock moving and the seasons passing. As a culture, the Greeks were a people sensitive to the rhythms of time and Solomon, although Hebrew, influenced by Greek culture took their view and had an awareness of the perpetual ebb and flow of tides and continuous cycle of life. He concluded that man’s life is lived within a series of continuous, changeless recurrences–time works on a grinding wheel. The Christian view of time enjoys the cyclical concepts of the Greeks–seasons, tides, rhythms, (by God’s design) and the linear concepts of the Hebrews. God’s time is progressing to completion. 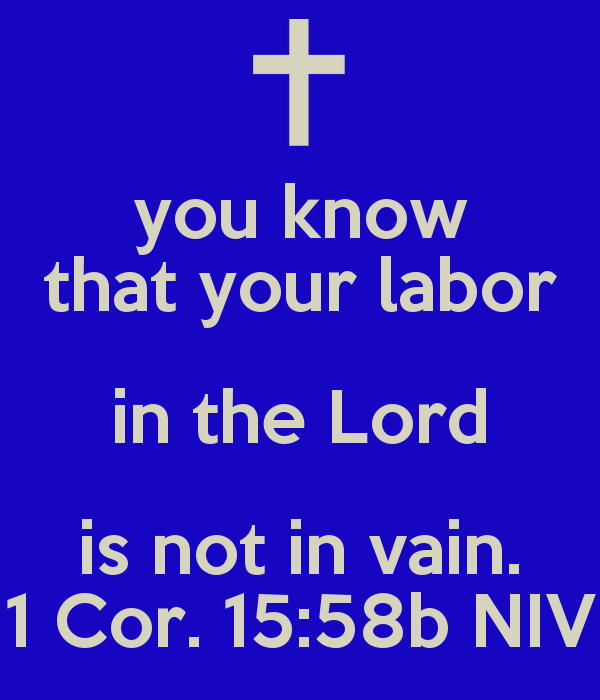 So there is gain in the labor of a Christian–we “seek the LORD while He may be found” (Isaiah 55:6) and know that God Himself is orchestrating the events toward the return of Jesus Christ and the establishment on earth of His Family and Kingdom. We have daily, weekly, monthly commitments to keep that may seem like toil and not fruitful at times: daily work, bills to pay, meals to fix, places to go, meetings to attend, laundry to do, family to appease, budgets to meet, places to be and then do it all again– Let us take one prayer day at a time and stay steadfast in God’s plan in this day for the Kingdom tomorrow.